The fifth and final studio album from 80s New Romantic pioneers Visage "Demons To Diamonds" was released in November 2015. It Featured the studio songs that Steve Strange was working on with Visage prior to his untimely death which shocked the world in Feb 2015. Album cover art by Boy George. All Royalties from the album to be donated to the Steve Strange Statue fund. The fourth Visage album "Hearts and Knives" features a career record breaking five singles released from it. Rather than release any high-profile singles from Album Five the band have decided to release a partner album called "Darkness To Diamond". It features alternate versions / remixes / "proper" extended versions and instrumentals of the Demons To Diamonds songs, all created by Visage. The CD and Download will feature new versions of the 10 tracks and the first ever external remix made by Visage. In September 2015 the "Steve Strange Collective" organization was formed by Steve's Mother, Sister and Steve's former PA Amanda Lloyd. The Steve Strange Collective is "An organization to promote and celebrate the legacy of Steve Strange and the organizations and causes he was involved with". All royalties from the album will be donated to the Steve Strange Statue fund. Steve Strange & Visage began working on their follow up album to 2013 Hearts and Knives in spring 2014. With over 15 songs written and scheduled the band had recorded just over half when Steve sadly died on Feb 12th 2015. After the shock of losing their leader the band rather than leave the album uncompleted decided to persevere and complete the album. The result is a lasting legacy to one of the UKs most creative music and fashion icons of recent years. 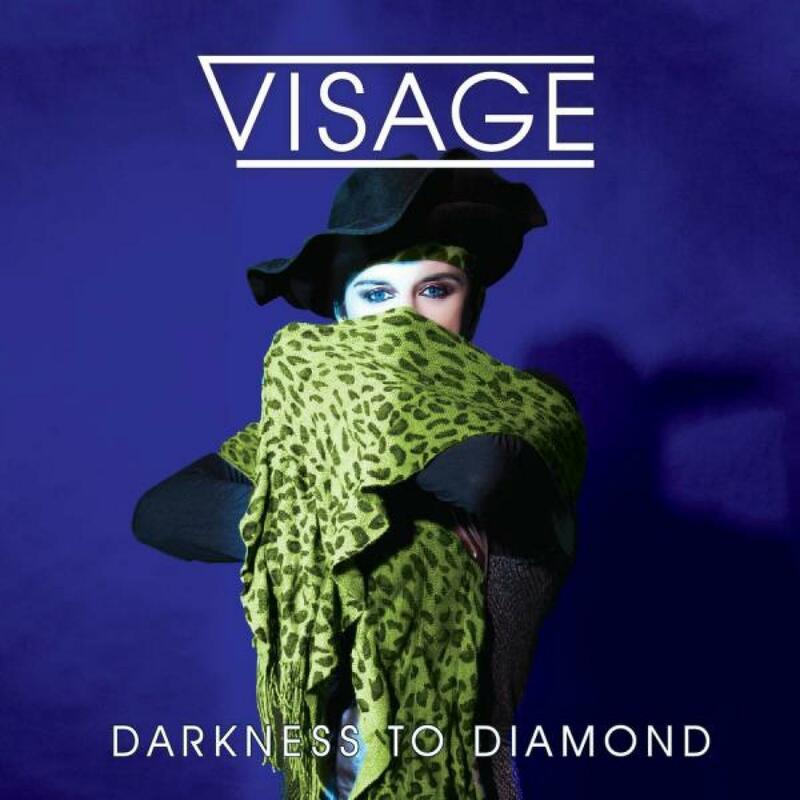 Visage began in 1978 when Steve Strange and Blitz Club partner-in-crime Rusty Egan joined forces with Midge Ure to create a futuristic, synthesizer-led group where style and fashion were matched by experimental but accessible music. The group was soon augmented with members of Magazine (John McGeoch, Dave Formula and Barry Adamson) and Billy Currie. They recorded their first single Tar with Martin Rushent at his Genetic Studio in 1979 (shortly to become the birthplace of the Human League Dare album). Their breakthrough track "Fade To Grey" became a European hit and reached number 1 in eight countries in 1980. The band then enjoyed a series of hit singles "Mind Of A Toy", "Night Train" and "The Anvil" coming from a pair of genre defying albums, the eponymous "Visage" in 1980 and "The Anvil" in 1982. In 1981 Ultravox now led by Midge Ure took off and in 1982 Midge and Billy left to concentrate on what would become one of the biggest bands of the 80â€™s, Ultravox. In 1984 Visage made their 3rd album "Beatboy". As the public face of the band Steve Strange shot to stardom throughout Europe he continued to be active in hosting club nights (The Camden Palace, Club For Heroes) and in the fashion world. In 2013 Visage returned with their 4th album "Hearts And Knives. The album was extremely well received by critics and fans alike. The band then began a year promoting and performing comeback album "Hearts And Knives". The band performed a string of live dates across Europe and Japan. A total of 5 singles were released from the Album. In 2014 the band performed with the Prague Symphony and Czech Synthosymphonica Orchestras. The resulting "Orchestral" album featured expansive orchestral arrangements of their classic tracks which the synthezier sounds Visage is known for blended with expansive strings, woodwinds and brass arrangements. Visage (French for "Face") has always been one part music to one part style & fashion. In 1980 the explosive combination of then futurist synthesizer music, fashion, make up & gender ambiguity set the blue print for the New Romantic movement and eventually the style template of the 1980's. Visage was one of the bands to evolve out of the famous night club the Blitz Club, created and hosted by Steve Strange and Rusty Egan. Other bands included Spandau Ballet and Culture Club. Innovative style, clothing and make-up continue to be central to brand "Steve Strange". In a series of style looks for the album he has collaborated with designers Haus of Gaga, Sorapol, Mark Fowler and long time collaborator milliner Stephen Jones OBE. For the cover of the 5th Visage album Steve re-united with his long term friend (and part time foe) Boy George who shot the cover of the album. Produced by John Bryan & Sare Havlicek. Additional Keyboards & Programming : Sare Havlicek and Mick MacNeil. Additional Backing Vocals: John Bryan, Robin Lee, John Graham and Sare Havlicek. Additional Engineering: OD Hunte, Paul Richard Simon, Chevy One, Patrick Ruane. Mixed by Sare Havlicek @ Tokyorama Studio. Mastered by Yuri Dent @ The Control Room. Aurora: Written by Steve Strange, John Bryan and Adam Fielding. Loving the Alien: Written by David Bowie. Additional Recording and Arrangement by Patrick Ruane. Published by RZO Music ltd. Your Skin Is My Sin: Written by Steve Strange, John Bryan and Francois Gamaury. Published by Dharma Songs & Musiqware. Sax Scene: Written by Steve Strange, John Bryan, Sare Havlicek, Sam Sharpe, David Boswell and Nick Eastwood. Star City: Written by Steve Barnacle, John Bryan, Sare Havlicek and Didier Marouani. Published by Dharma Songs & Bastien Songs. Become: Written by Midge Ure. Days Become Dark: Written by Steve Strange, John Bryan and Francois Gamaury. Never: Written by Steve Strange and Steve Barnacle. Before You Win: Written by Steve Strange, John Graham, Sare Havlicek, & John Bryan. Seven Deadly Sins Part Three: Written by Steve Strange, Robin Simon, John Bryan and Sare Havlicek. Heartbleed: Written by Steve Strange John Bryan and James Grant. Published by Dharma Songs / Copyright Control.